The people at NuCon Corporation are experts when it comes to impellers. More specifically, they are experts in the manufacturing of radial and axial compressors, pumps and turbines, shrouded impellers, expanders, diffusers, and jet engine cases. 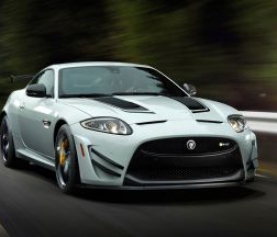 They’re also experts in 5-axis machining processes used to manufacture those impellers and the aforementioned parts. 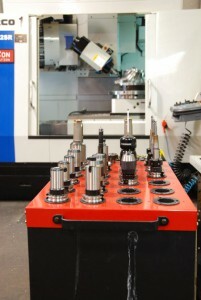 Since 1973, NuCon Corporation has used their proprietary Impeller Machining System to machine thousands of configurations as small as 5 mm in diameter up to 73 inches in diameter. The majority of their products are used for marine propulsion and pumps, industrial compressors, and power generation, but they also machine parts for aircraft and rocket engines. NuCon primarily machines stainless steel, but they have experience machining a variety of materials including aluminum, titanium, exotics, and plastics. They can do any blade configuration a customer needs including straight line element, arbitrary blade shape, blisk, an open or shrouded impeller, and an open or closed turbine. Different blade shapes within a single stator/rotor can be accommodated. NuCon primarily relies on 15 vintage Sundstrand 5-axis machining centers throughout the 35,000 square feet of manufacturing space they have in Livonia, Michigan, to manufacture these complex blade configurations for customers around the world. In fact, there are only a handful of companies capable of serving this niche market. The NuCon crew has upgraded, retrofitted, and refurbished the massive Sundstrand machining centers so they can handle large parts that vary in complexity and weight, with some blanks weighing as much as 11 tons. Co-owner David Bernhardt says he started shopping for a smaller 5-axis machining center because it didn’t make sense to tie up a large Sundstrand for smaller parts that were up to 22 inches in diameter. While he considered other brands of 5-axis machines, Bernhardt says a demonstration at Hurco’s technology center in Indianapolis sealed the deal and NuCon purchased two VMX42SR machines. “The VMX42SR’s table had the capacity to handle the weight of stainless steel, which is important because that’s the material we use the most,” explains Bernhardt. The VMX42SR’s C-Axis table with a 24-inch diameter can handle up to 1,100 lbs and the machining center is designed with a B-axis swivel head and C-axis rotary table that lets the tool access hard to reach areas faster. The tilting head design is perfect for the swept surfaces and complex contours NuCon routinely machines. Other advantages of the Hurco VMX42SR include 600-block look ahead, up to 600 ipm programmable feed rate, and processing speed up to 2,277 bps. Hurco was especially honored that NuCon chose Hurco for its 5-axis machining needs of smaller parts considering the collective expertise of the owners and the exacting standards they demand. 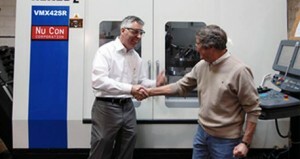 NuCon owners David Bernhardt and David Stormont know machine tools inside and out: literally. They were machine tool designers in the 60s at the Buhr Company in Ann Arbor, Michigan, a company well known for developing machine tools designed specifically for the automotive industry. Because of the collective expertise of Bernhardt and Stormont, NuCon has successfully developed their proprietary Impellar Manufacturing Software, designed the spindle head for their rotary head machines, and created their own PC-based controllers. They have achieved accreditation for numerous quality programs and implemented verification and inspection programs throughout their operation. Bernhardt says he is enamored with the motion control on the Hurco and both VMX42SRs have performed perfectly. Beyond the machine, Bernhardt says the phenomenal service network Hurco has established is probably the best he’s seen in his career. “It’s really something you should promote. The knowledge and customer support is outstanding. I even sold a machine to a fellow down the road. He asked me about our Hurcos and I told him about the phenomenal service network you have and the outstanding performance of our machines. This is still an industry that relies on word-of-mouth, which means a company’s reputation for how they treat customers after they have bought the machine is important,” explains Bernhardt. While Hurco machine tools are often known for their intuitive conversational programming, NuCon uses the NC side of the control exclusively. The integrated Hurco control powered by WinMax includes both conversational and NC programming methods with ISNC and NC Productivity Packages available for enhanced performance. With an enhanced NC interpreter, the recently released WinMax version 8 (WinMax8) is compatible with more CAD/CAM programs than ever. Other additions to the NC side of the control include Tool Review, Transform Plane, Rotary Tangential Velocity Control, Automatic Safe Repositioning, Recovery Restart, and Cylindrical Wrap. “It really says a lot for us to go to another machine with an alien control when all of the Sundstrands and turning systems we have use the control system we developed. The integration has been seamless and all of the operators picked up the Hurco control quickly,” says Bernhardt. NuCon also invests in other technology to enhance efficiency, minimize waste, and maintain outstanding quality. Bernhardt says software packages from OpenMind and Predator are useful to his operation because they analyze part programs to achieve maximum machining efficiency. Bernhardt attributes his company’s success to great customers, great employees, and the drive to continually find ways to increase efficiency while maintaining the highest quality. “The core of our manufacturing philosophy at NuCon has always been to satisfy our customers. The job isn’t finished until the customer requirements are met. We believe in continual process improvement. You always need to look for ways to work smarter even while you’re working harder,” says Bernhardt. 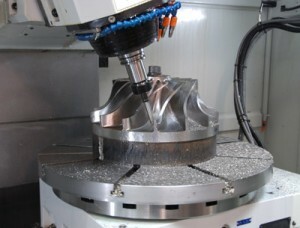 For NuCon, purchasing the Hurco VMX42SRs helped the company work smarter for smaller 5-axis parts. 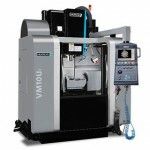 Five-axis machining can reduce the amount of electrodes and EDM operations necessary.